There are currently 78,078 users on this website. 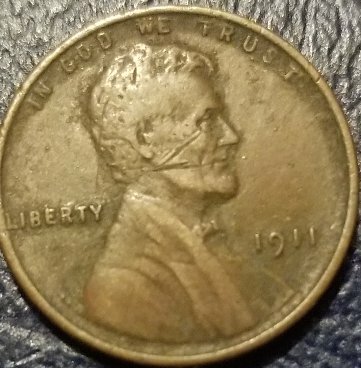 1911 Lincoln Cent Die Crack? Hello all! 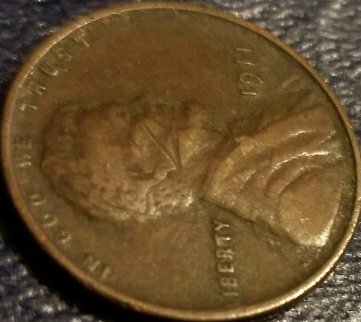 Ive been looking at a handful of early wheat pennies that a friend has given me for my nee found hobby. 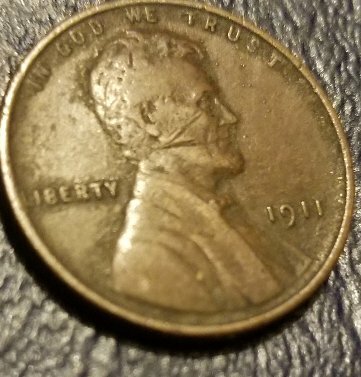 Would y'all please tell me if this a die break and if it's of any value? 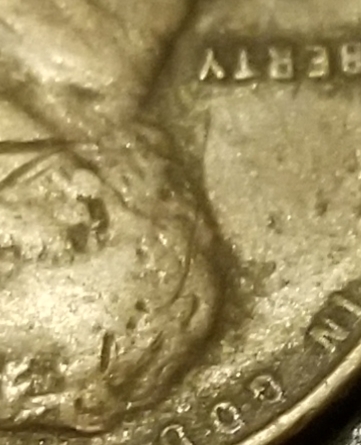 Looks like a massive gouge/scratch on the coin to me. I agree just some nasty scratches. The missing A on reverse is more interesting. Still just worth what a 1911 is worth in that condition. Not a die break. What looks like a "die crack" is a scratch,a die crack would be raised and a die scratch from circulation would be indent with a ridge along its' sides. 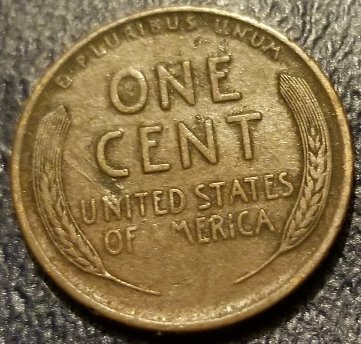 The missing A looks like a grease filled die. These pics do not do it any justice. I wish it showed the detail it see with the loop. It looks to be the point of whatever caused it to do this is behind his neck about the base of the skull. Most of it isn't raised up, but not the same as you described. Above liberty and down Lincolns back is. The rest that's in his face and up through God and we look like a spider crack. With it being such an early year. I didnt know what to make of it. It would be interesting to know the story behind this "spider gauge". Your knowledge is well appreciated. It does appear to be just damaged. Actually with that damage it is actually a cull coin. Just one mark on your coin would have turned it into a cull coin. So one to replace when you get a better one for your collection. I hope that last post didntcome off snarky. It was not meant that way. I have high the guards for your knowledge about coins. I've learned a great deal already from your advice. Thank y'all.